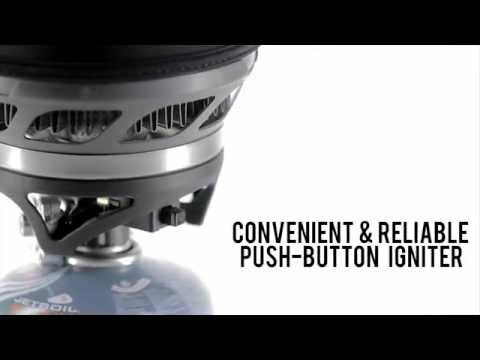 A JetBoil MiniMo with full simmer control. Get Jetboil’s trademark super-fast boiling with a subtle simmer control for sautéing wild mushrooms or keeping seconds warm. A wide, short cup lets you achieve a lower utensil angle for more efficient food wrangling and increases pot stability on or off the stove. A redesigned control offers better cold-weather performance, tested to -6°C. Folding metal handle provides a secure grip. Stainless steel burner is mounted sideways, taking up as little space as possible. Flexible heat-resistant lid has built-in canister support holder. Drink-through lid with pour spout and strainer. Pot base protector acts as a measuring cup and bowl, pot lid also fits on this bowl. Able to store a 100g Jetpower fuel canister.